The SMART - SmartCash cryptocoin was announced on July 21st, 2017 and runs without being controlled by a reserve bank or single administration. The cryptocurrency SmartCash can be mined for profit. It adopts the Keccak algorithm and the proof of work (pow) consensus. 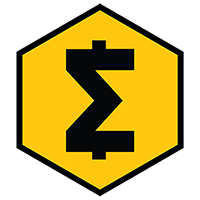 To keep updated with the latest news from SmartCash, you can find them on Twitter, Facebook and Reddit. We don't have any cloud miners listed for SmartCash yet, check back soon! We don't have any wallets listed for SmartCash yet, check back soon! We don't have any debit cards listed for SmartCash (SMART) yet, check back soon! We don't have any price charts listed for SmartCash yet, check back soon!